There were a lot of things that changed from the last week of the 2013-2014 NHL season to the first week of the 2014-2015 season. And there was a lot that didn’t. Here’s a before-and-after breakdown in pictures. 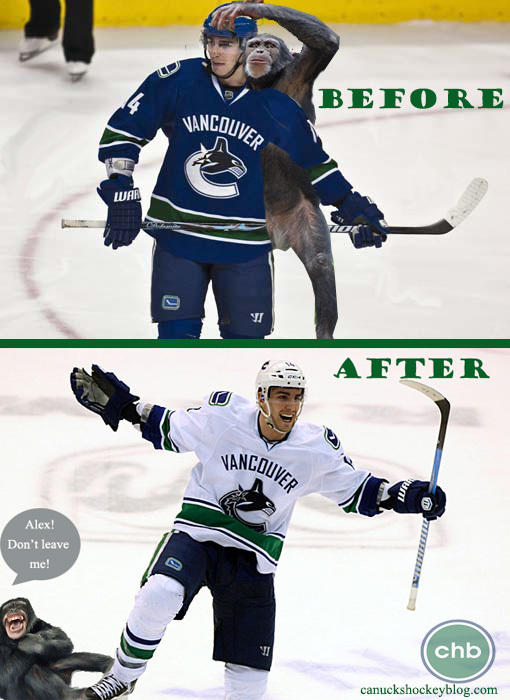 Alex Burrows couldn’t score to save his life last year. This year, in the very first game, he scored! Burr is back, baby, without the monkey on his back! 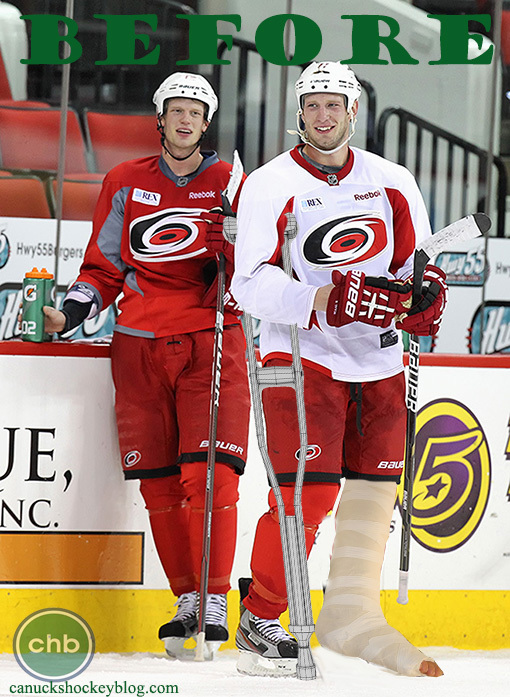 The Hurricanes thought they were set to make a good run at this season, with two healthy Staals. Then Jordan broke his leg in a pre-season game. Then Eric went out with the elusive “upper body injury” as soon as the season started. 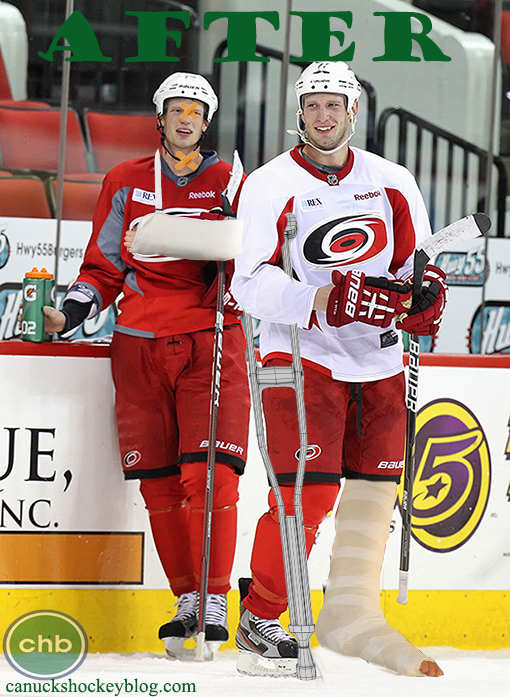 The Canes have gone from It’s Staal Good to It’s Staal bad… very, very bad. 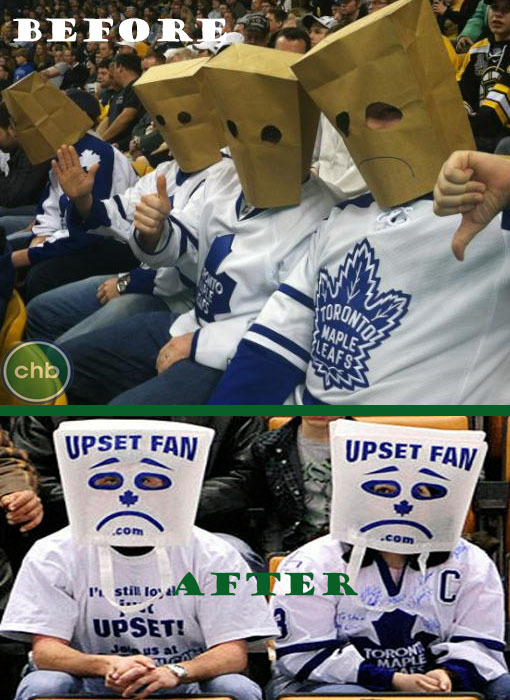 The Toronto Maple Leafs and their fans ended the 2013-2014 season in a very low place. And they started the 2014-2015 season in the very same place. There’s something to be said for consistency… right?